Chinadaily Forum › BBS › Life in China › Friendship, Love, Relationships › Can test curb rising divorces? (CGTN) According to a survey by China Youth Daily, over 7 out of 10 respondents agreed that making divorce procedures more complex and longer could help save more marriages. 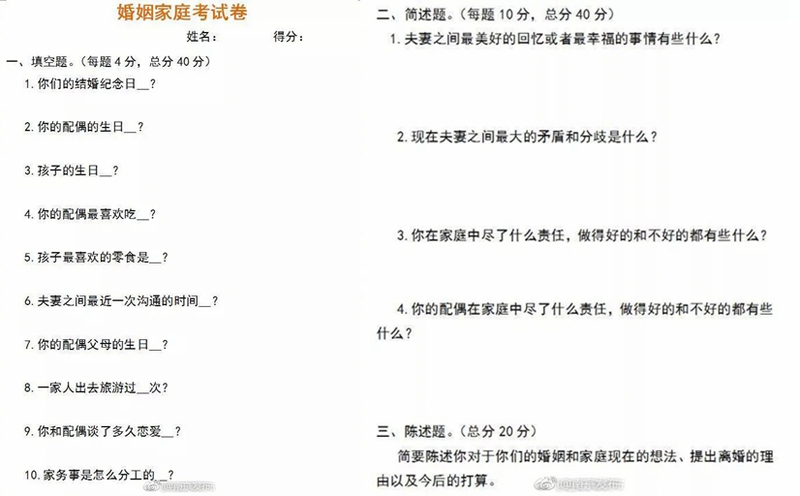 In east China’s Jiangsu Province, the marriage registration office of Donghai County decided to try this out by asking couples who apply for divorce to take a quiz before starting the procedure. The questions range from birthdays of the couples’ parents, important anniversary dates and their children’s favorite snacks. They are designed to let couples reflect on their relationship and think twice before making the final decision. The first respondents were a married couple with two children, and the woman scored 100 points while the man had 0. The staff at the office thought that the woman still had deep feelings for the man and the family, and asked the man to think deeply. 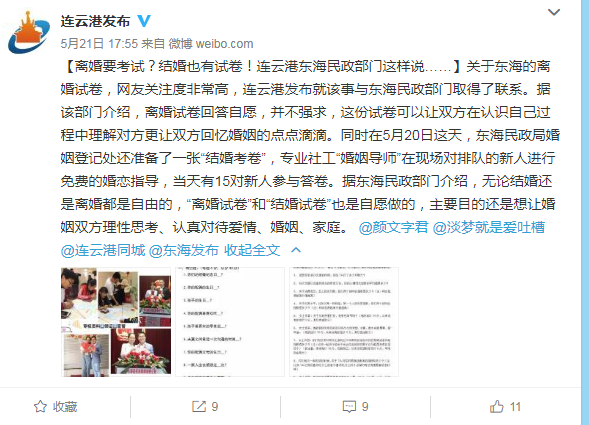 Due to the heated discussion online, Donghai’s civil affairs bureau responded on Weibo that the divorce paper is non-compulsory. In addition, the marriage registration office also published marriage papers for newly registered couples as well as marriage advice. The goal is to bring rational thinking into marriage, and seriousness consideration of love, marriage, and family. It is not the first time such a test has been implemented in China. Last year, news of a similar divorce examination was set up by a court in Yibin City in China&apos;s Sichuan Province. Also, anyone who seeks to annul their marriage in a district in Shandong Province must cool off for three months. After that, the couples can either file for divorce or request to extend their term of contemplation. 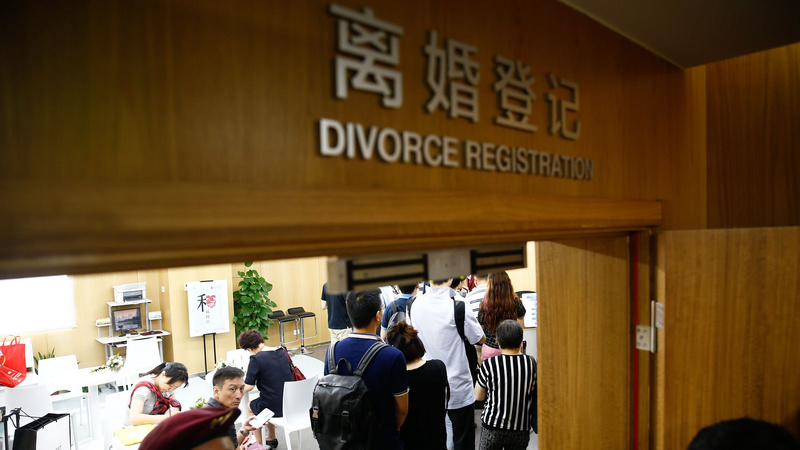 Divorce rates have reportedly surged in China in recent years. According to the country’s Ministry of Civil Affairs, a total of 1.85 million couples divorced in the first half of 2017, up 10.3 percent from one year ago. Divorce should not be granted for approval just because the husband/wife is not young & attractive anymore but should offer space for younger men/women outside the marriage. Isn't divorce a personal thing that the authorities should not interfere with? Sorry to hear your going through two tough relationships. Don't lose your faith in marriage and hope this one is going to work out.